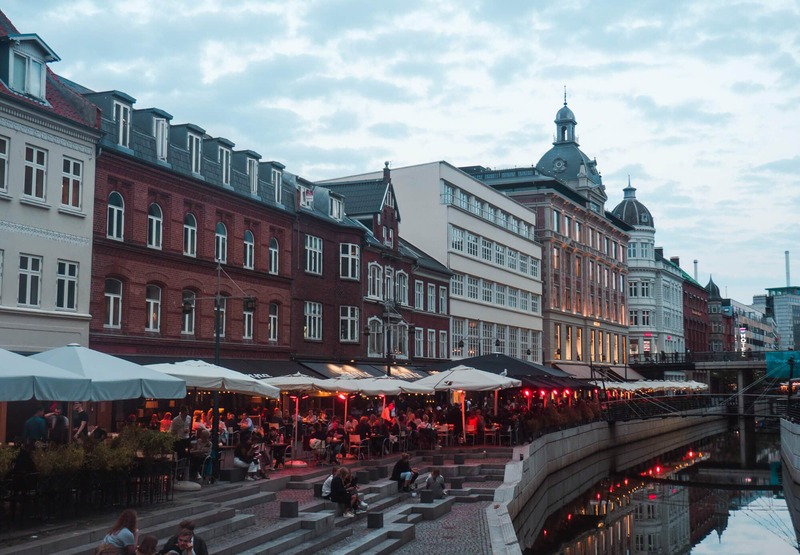 Two unforgettable days in Aarhus – Denmark’s happiest city! Move over, Copenhagen, Aarhus is here to stay! Aarhus, Denmark’s second largest city, took a big step out of Copenhagen’s shadow when it was chosen as the European Capital of Culture last year. 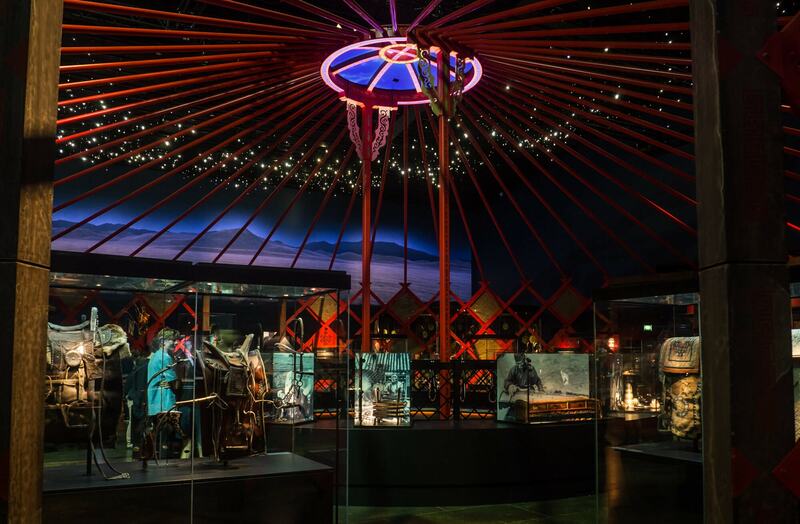 For a city of just over 320,000 people, Aarhus boasts some seriously fancy places like Michelin star restaurants, several world-class museums and high-end galleries. But at the same time, it’s a student city with a vibrant bar and nightlife scene. The best of both worlds! 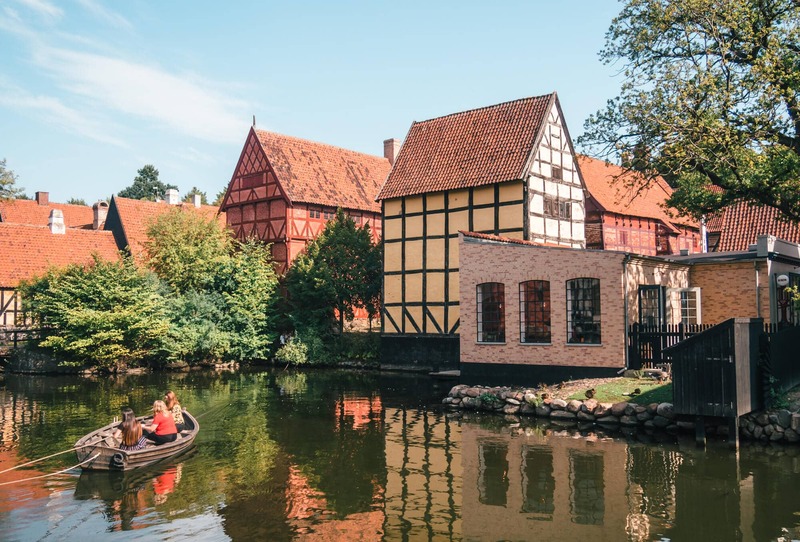 Aarhus is not only a great city in itself, but its location on the mainland means that you can go from bustling city life to lush, green country surroundings in a matter of minutes. I will talk more about some awesome day trips to Viborg, Skanderborg and Silkeborg in the next post, but for now, let’s focus on what Aarhus has to offer. I was lucky enough to be invited on a three-day tour of the Aarhus region, courtesy of Visit Aarhus. This was a sponsored trip, but as always, all thoughts and opinions are my own. I’m not obliged to write anything, but choose to do so because I truly enjoyed my time in Aarhus. In fact, I can’t wait to go back! It just so happened that the 2018 Aarhus Festival, or Aarhus Festuge in Danish, coincided with my two days in the city. The festival is a week-long celebration of music, art, architecture, theatre and gastronomy happening in September every year. It was so fun to see the city in a party mood with cool stuff going on everywhere. So if you have the opportunity to go and experience it next year, do not hesitate! For us Norwegians getting to Aarhus is super easy, especially if you live close to Oslo, as SAS operates a daily route. You can also jump in your car and take Superspeed from either Larvik or Kristiansand to Hirtshals then drive the two hours down to Aarhus. Aarhus Airport is, not surprisingly, the closest airport to Aarhus and it’s very easy getting to the city centre by bus or taxi. The journey takes about 30 minutes. Billund is West Denmark’s International Airport and from there you can catch a bus or train and be in Aarhus in a little over an hour. You can also fly into Copenhagen Airport as trains bound for Aarhus railway station leave hourly. I would definitely recommend getting an Aarhus Card to get the most out of your time in the city. 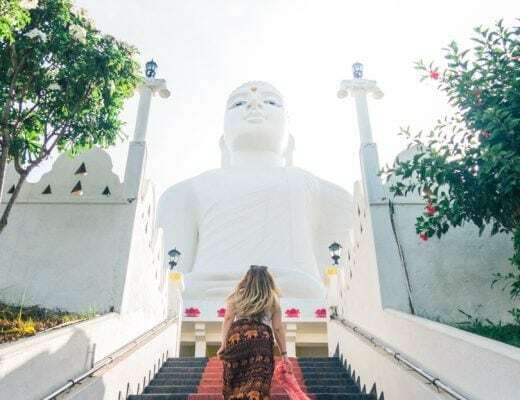 You’ll save quite a bit because you get free admission to more than 25 museums, attractions and activities + unlimited use of bus (including to and from the airport) and light rail and several different discounts on shopping and bicycle hire. You can choose between 24, 48, 72 and 120 hour cards, prices start at 299 DKK / $46. All of these hotels are located right in the city center, but don’t be afraid to stay a little further out if you find a great deal. Aarhus is a compact city so you can easily walk or bike to most places. 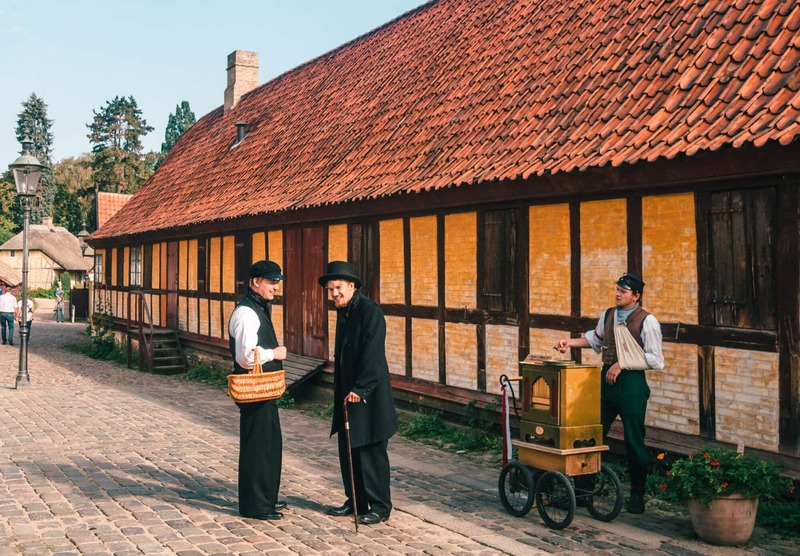 Travel back in time at “Den Gamle By” (The Old Town), an incredible open-air museum holding the maximum three stars in the Michelin Travel Guide. Every year around 500,000 visitors make their way to the museum which offers free entrance for everyone under the age of 18. The oldest part of Den Gamle By is set up like a small Danish market town would have looked like complete with a fairground, gardens, half-timbered houses and workshops. The buildings have been brought to the museum grounds from all over the country. From April and throughout the year you will meet people dressed and acting as people would at the end of the 19thcentury and in the 1920s. There are even different shops where you can spend some real money. How cool is that? Unfortunately though, the prices do not reflect the era, they are very much up to today’s standards. As you walk through the town you’ll end up in a district from the 70s where you can explore homes, a supermarket, hairdresser, kindergarten and a horrifying gynecology office looking more like a torture chamber. If you think Den Gamle By sounds cool but you won’t be able to make it there anytime soon, take a virtual tour right here on your screen. This place was one of the highlights of my time in Aarhus, I could have spent at least half a day wandering around the cobblestone streets taking it all in. In these social media obsessed times, unique features mean that you have probably seen it all over Instagram. And this permanent art installation is no exception, it’s without a doubt the most Instagrammed spot in all of Aarhus. Your rainbow panorama, which opened in 2011, consists of 150 meter long, circular panoramic path with 360º views of the city. For the best photos go to the purple part of the circle and look towards the yellow. Trust me, it’s amazing. It looks like the yellow is glowing! But hey, let’s not forget about the museum itself. 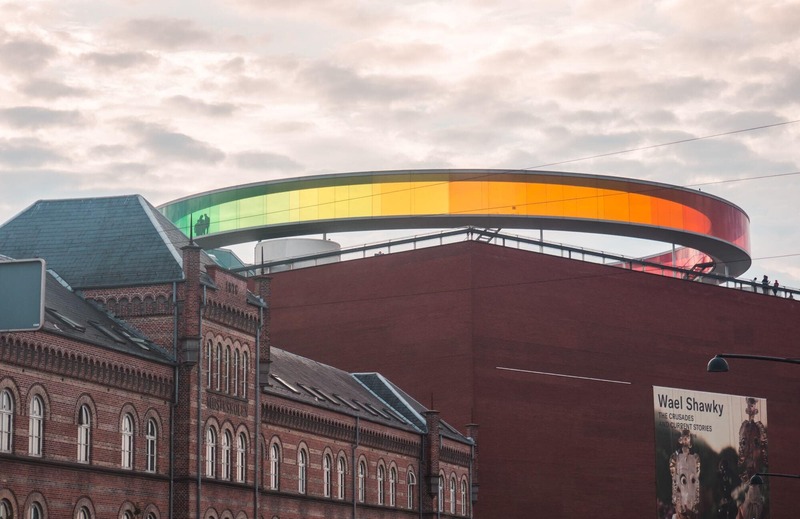 ARoS is the main art museum in Aarhus and with 17.700 square meters divided over 9 floors, it’s also one of the largest museums in Northern Europe. ARoS currently holds two stars in the Michelin attraction’s guide. Downstairs you can enjoy the major special exhibitions and the upper floors house the museum’s own collections of art from the 19th century up to the present day. I can’t recommend Moesgaard Museum enough! 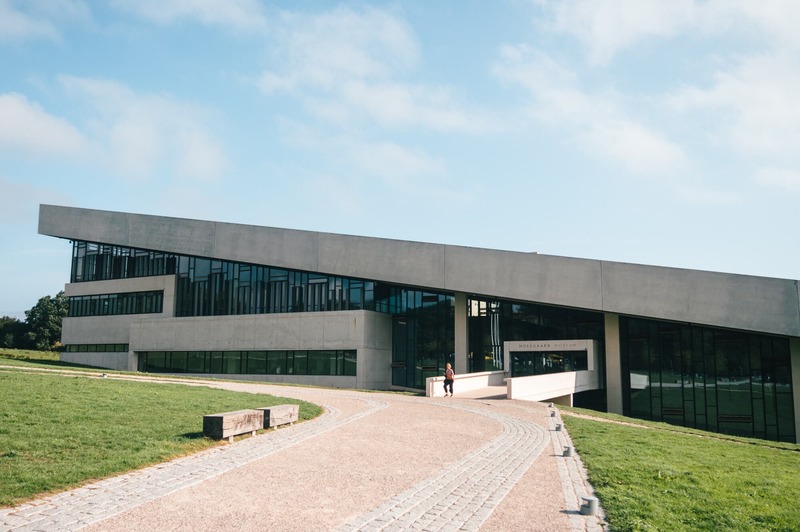 The architectural design of the building itself, the multi-sensory exhibitions and the location south of Aarhus overlooking both woodland and the sea, make this an attraction hard to beat. It’s easy to see why Moesgaard also has been awarded two stars in the Michelin Green Guide. Both the Djengis Khan and Lives of the Dead exhibitions were amazing but I actually ended up spending most of my time studying the evolutionary stairway and a collection of skulls which depicts where we human beings originate from. Even if you’re not a history nerd, I’m sure you’re going to love this place. Norway we have some serious catching up to do when it comes to museum experiences. Moesgaard is up there with the best museums I’ve ever seen, I could have spent hours and hours there. This is part of the Djengis Khan exhibition. Tivoli Friheden is a theme park set in the beautiful Marselisborg Forest, about a 30-minutes walk from the city center. There you’ll find four roller coasters, 40 rides, stalls, playgrounds and a cozy garden where you often can enjoy concerts, theatre and much more. If you think you can withstand the same G-force that a fighter pilot endures, then go for the Cobra, a monster of a roller-coaster. It will definitely have your heart beating out of your chest within seconds. Or if you’re craving a good old adrenaline kick, then try the Sky Tower. Freefall for over 30 meters, where you can reach a speed of up to 90 kilometers per hour before landing in a net. If the weather allows it, rent a bicycle and go for a ride through Aarhus’ newest neighborhood called Ø. What was once a dingy old container port has been transformed into an architectural gem. Just take a look below! 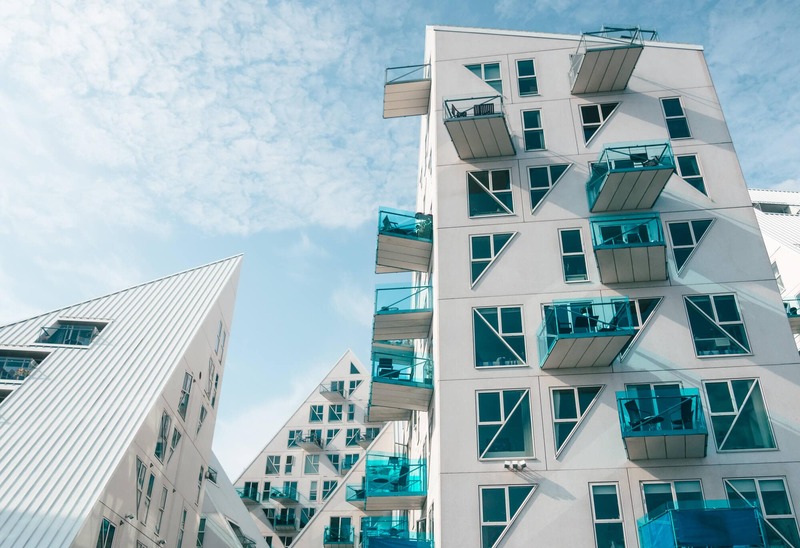 Buildings like DOKK1, the Bestseller headquarter and residential design icons like Lighthouse and The Iceberg, makes this one of the most exciting areas in the city. The name Ø has a double meaning as Aarhus Ø literally translates to Aarhus Island and because Ø is the abbreviation of Øst (East). Located next to Den Gamle By, the Botanical Garden is the perfect place to relax and go for a stroll. In addition to all the tables and benches, you’re also welcome to bring a blanket and sit down on the grass. So it’s never a problem finding a place to enjoy your lunch. The garden is situated on a slope and contains large lawned areas lined with majestic trees and a stream that runs through the entire garden and forms three lakes. Such a beautiful place! Explore 4 different climate zones with beautiful flowers and impressive plants or take a break in the café which serves simple but tasty traditional food. In the greenhouses, you can hear stories of how nature influences us in our daily lives, told both for kids and adults. The oldest and most charming area in Aarhus, the “Latin Quarter”, is characterized by cobblestone streets and colorful houses. The atmosphere is young and vibrant with hip cafés, bars, fashionable shops and art galleries lining the streets. It’s the perfect place to spend an afternoon. So, of course, I had to list Aarhus Street Food as one of the top things to do. Food is the best part about travel in my mind, so a place like this is like a dream come true. 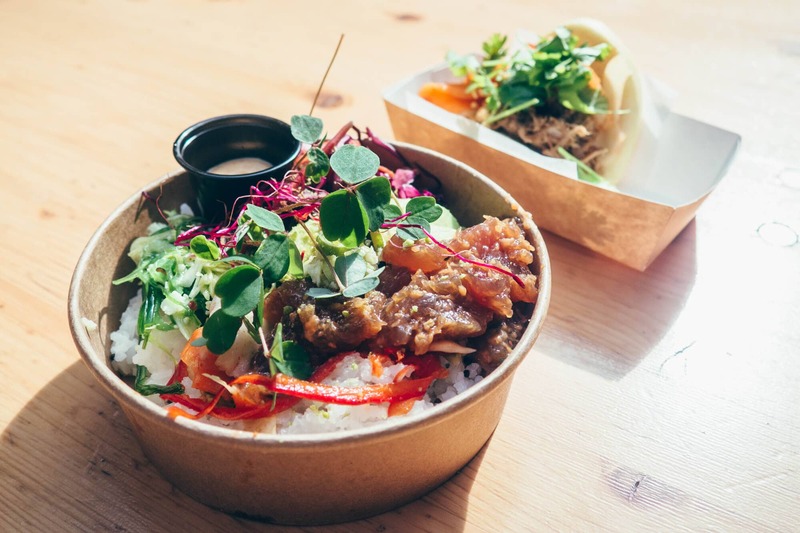 Located in an old bus garage, Aarhus Street Food serves up delicious and sustainable food from all corners of the world. From Mexican tacos to American comfort food, I dare you to find a cuisine they don’t offer. And the best part is that it’s quite affordable, at least compared to what I’m used to in Norway. All the stalls have at least one dish on the menu under 50 DKK / $7. There are communal seating both outside and inside, so don’t be afraid to check it out even if the weather is bad. What was supposed to just be part of the Sculpture By The Sea event in 2015 ended up as a permanent piece of art. Located at Ballehage Beach, the Infinite Bridge is much loved by locals and tourists alike. The circle shaped, wooden pier/bridge spans from the sand all the way out into the water. You can literally walk, walk, and walk forever and just marvel at the breathtaking surroundings. Rent a bike and you’ll be there in about 15 minutes. 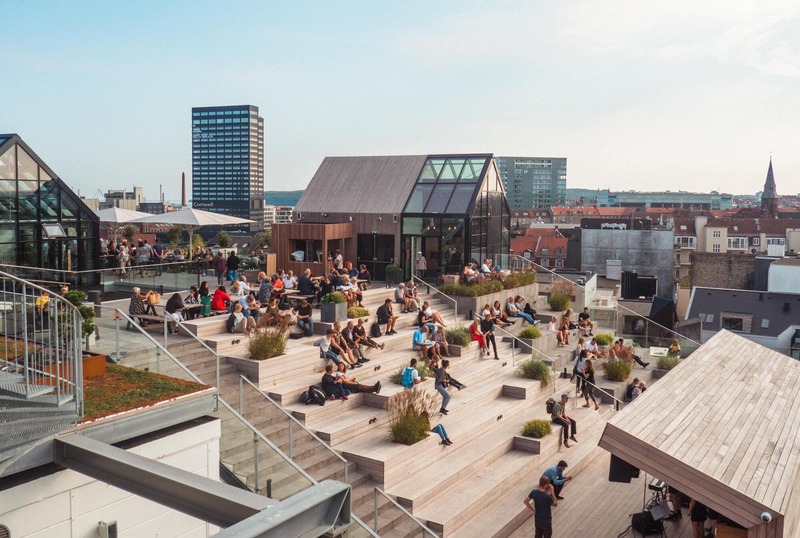 Salling Rooftop is a super trendy café/bar on the roof of the Salling department store in the center of town. There are several different seating areas, all perfect for some relaxing afternoon cocktails. As you can see there’s also a stage where a DJ kicks off the weekend every Friday. On the very top of the roof, about 25 meters above “Strøget”, you can step out on a glass platform. Check it out even if you’re scared of heights, the views are amazing and it’s so cool to people watch from above. Well, that was my picks for the top ten things to do in Aarhus. Now, remember to check out these 3 cool day trips, all within one hour of the city. 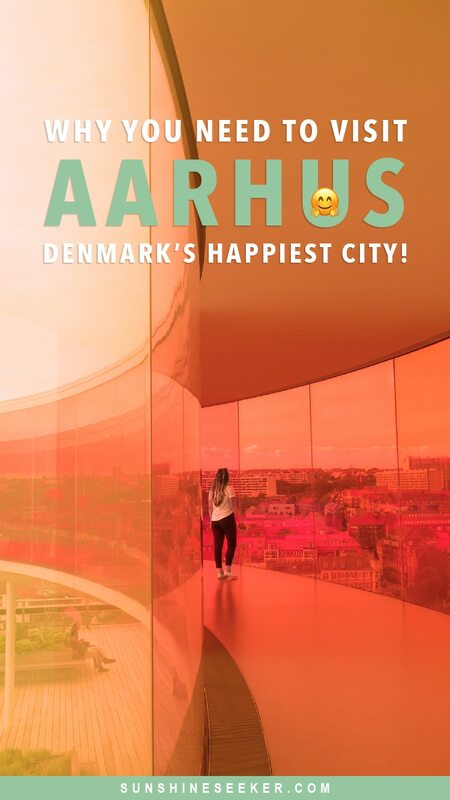 Have you ever been to Aarhus? 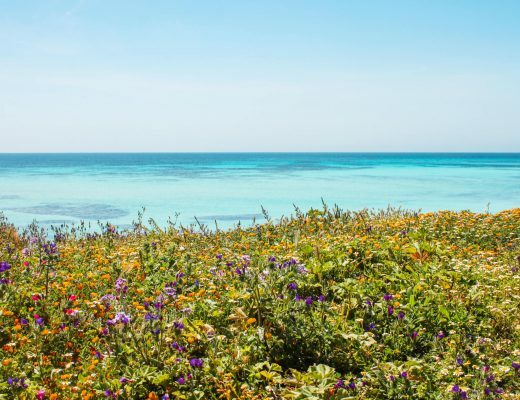 16 incredible islands you probably haven’t heard of but need to visit! Wow, so that’s what the happiest city in the happiest country on Earth looks like! I’M SOLD!! 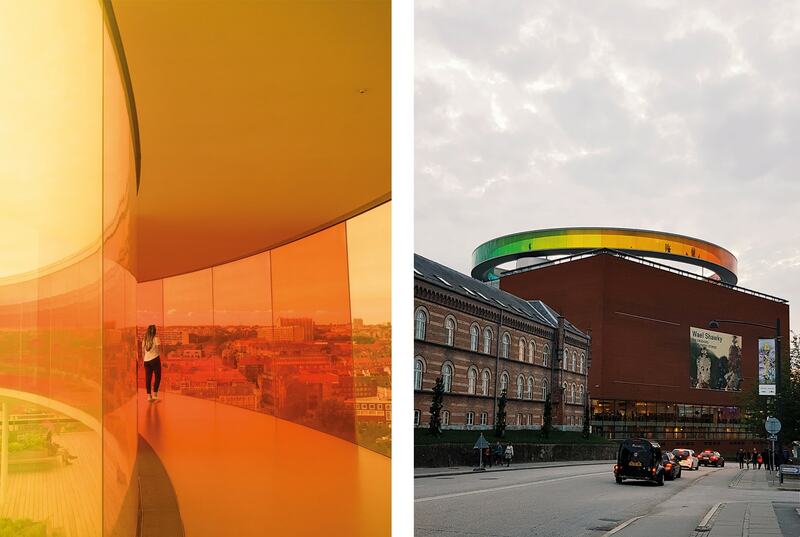 I especially love the art museum (so many colorsss) and Aarhus Ø! How cool is that neighborhood! Thanks for sharing because I am looking up plane tickets RIGHT NOW! What a unique area! This is the first I’ve heard of it, and now I’m intrigued. I feel like I’d want to spend the majority of my time in the old town area. BTW, this comment had me giggling: “Unfortunately, though the prices do not reflect the era, they are very much up to today’s standards.” (The gynecologist torture chamber one did, too!) Great post! This looks amazing! 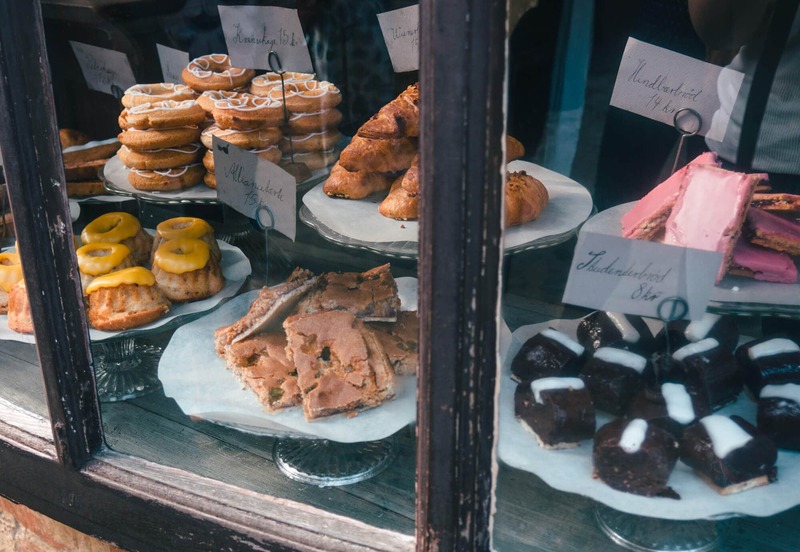 I’ve heard only the best things about Aarhus lately, and it’s on my list to go! It’s hard not to fall for Danish design, and the great people who live there. Thanks for sharing! As a Scandinavian, I have heard the name of the city before but never thought much about it. But it actually looks like a really cool city with lots of character and things to do. Thanks for sharing this and bringing Arhus on the map! Yes you should, Denmark is definitely worth a visit!